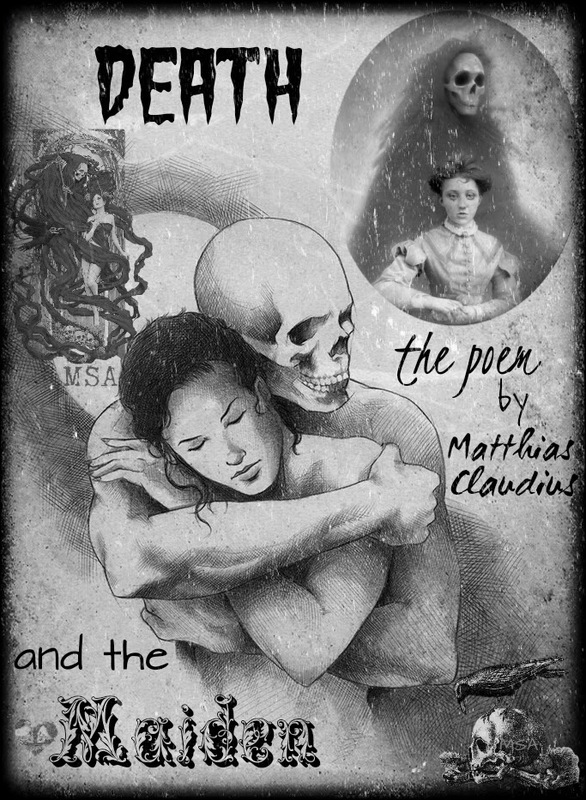 I’ve always seen artwork with the title “Death and The Maiden” that I liked a lot, but never really knew if it had a history or what it was from so I decided to find out and thought I’d share..
“Death and the Maiden” was originally a short poem in two parts by Matthias Claudius (1740-1815). 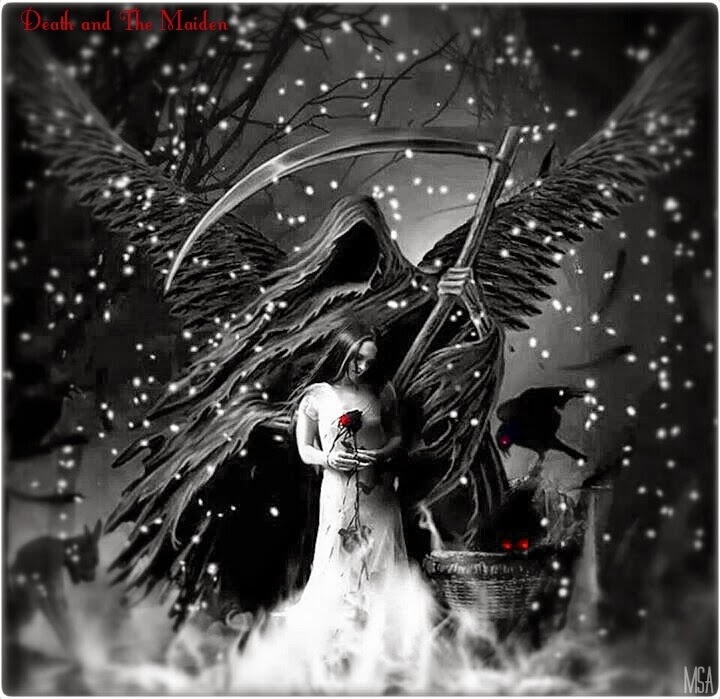 The first part is the maiden, a scared young girl, anxious at the thought of dying. 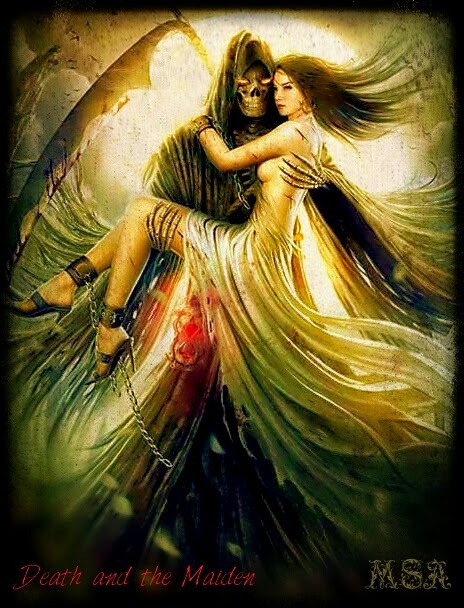 The second part is Death himself, calming and welcoming her, a “consoling serenade” telling her not to be afraid. “It’s all over! alas, it’s all over now! Go, savage man of bone! I am still young – go, devoted one! 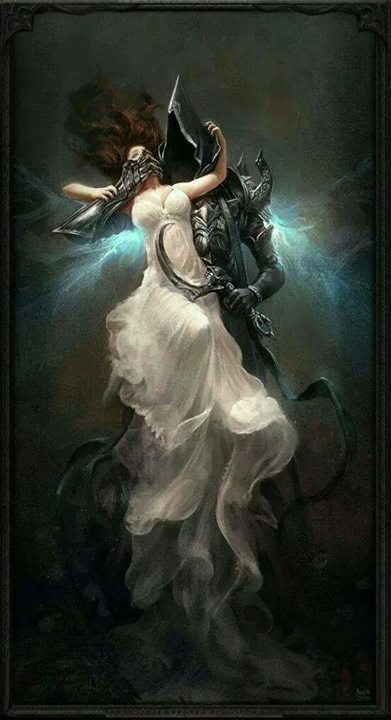 “Give me your hand, you fair and tender form! I am a friend; I do not come to punish. Be of good cheer! I am not savage. 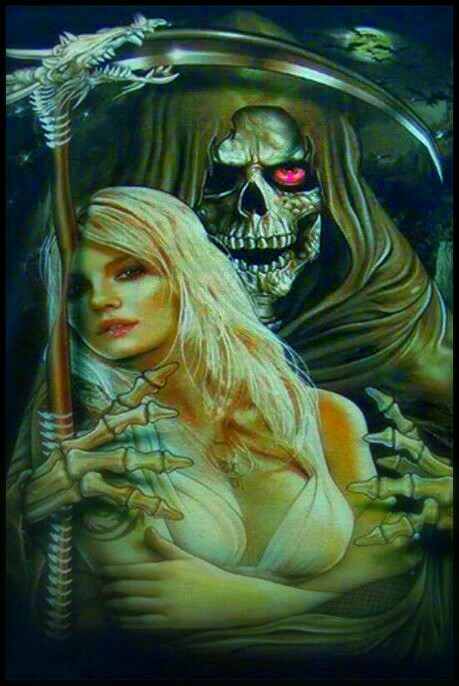 “Pass me by! Oh, pass me by! Go, fierce man of bones! And do not touch me. “Give me your hand, you beautiful and tender form! I am a friend, and come not to punish. “I feel myself to be the most unhappy and wretched creature in the world. imagine a man, I say, whose most brilliant hopes have come to nothing, to whom the joy of love and friendship have nothing to offer but pain, at best, whose enthusiasm (at least of the stimulating kind) for all things beautiful threatens to vanish, and ask yourself, is he not a miserable, unhappy being? My peace is gone, my heart is sore; I shall never find peace again, never again. 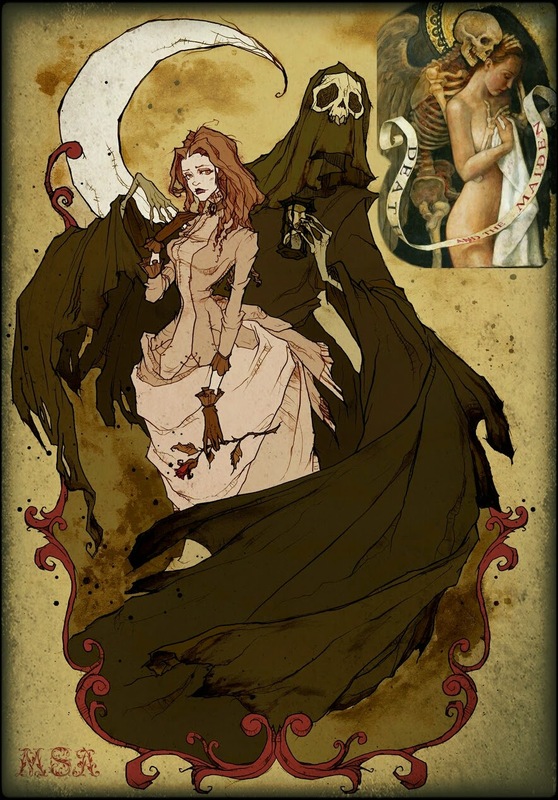 and that’s a short history behind those Death and The Maiden pics. If you were interested like I was, now you know. Sharing is Caring, and appreciated. Thank You. 1. (Ancient Greek: ἀποκάλυψις apokálypsis, from ἀπό and καλύπτω, literally meaning "an uncovering") is a disclosure of knowledge or revelation. A disclosure of something hidden, "a vision of hidden secrets that can make sense of earthly realities"
2. Imminent cosmic cataclysm. The complete and final destruction of the world. Enter your email address and receive notifications of awesome new content by email.